How to organize a pantry so that you always have your staples within reach and you're actually inspired to cook. How to organize a pantry so that you always have your staples within reach and you’re actually inspired to cook. Here’s how to organize a pantry so that you always have your staples within reach and you’re actually inspired to cook. No matter how amazing your kitchen looks, it won’t mean a thing if you open your pantry to a jumble of cans and boxes that leave you feeling like there’s nothing to eat. Been there? If so, you’d be amazed by what a difference a little organization can bring to the table. The first step to organize a pantry is to remove everything from inside and scrub the shelves well. “Set aside any unopened boxed foods or canned goods you’re definitely not going to eat and donate them if they haven’t expired,” says Mim King, a professional organizer in St. Paul, MN. Next, make a single row. “The ideal pantry is one item deep—this way nothing gets lost in the back,” explains Darla DeMorrow, a professional organizer with HeartWork Organizing in Wayne, PA.
Amy Bell, owner of Red Chair Home Interiors in Cary, NC, doesn’t bother transferring cereal and pasta into resealable boxes (they get eaten up too quickly), but she does like space-saving storage containers for baking ingredients such as flour and sugar. And use an easy-to-reach basket to hold individually wrapped bags of chips and granola bars so your kids won’t tear apart the pantry looking for them, suggests Emma Gordon. Mount a spice rack—and then alphabetize it. Or install over-the-door shelving for oils, vinegars, and other condiments. Coraccio has one row just for frequently used baking spices like cinnamon and nutmeg, and puts more unusual ones (turmeric, mace) on a higher row. A towel rack can store shopping bags and soft coolers on the back of your pantry door, adds Gordon. Want mice, ants, and pesky moths? Of course not. 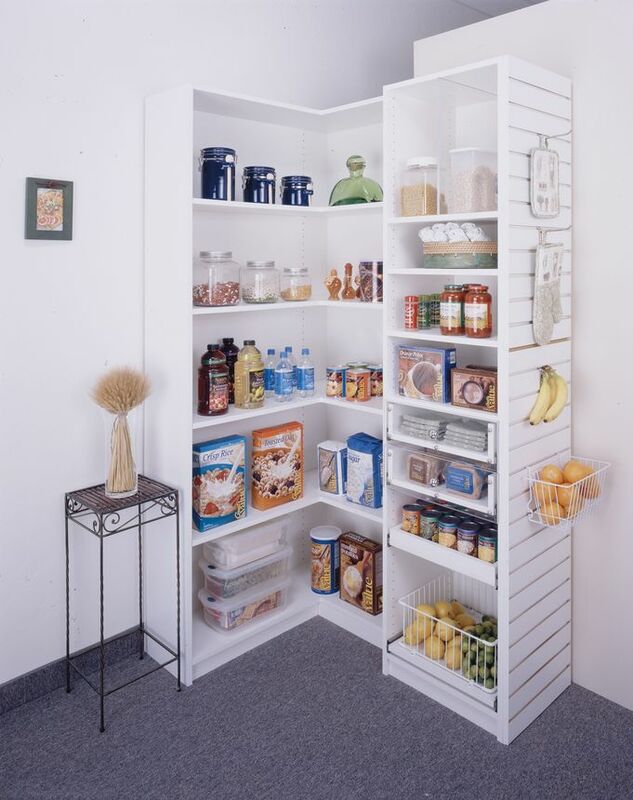 Pests don’t belong in an organized pantry, so don’t store food on the pantry floor. Instead, use rolling bins to keep edibles safe, maximize space and organize the pantry at the same time, says DeMorrow. The exception to the floor rule might be a large bin of pet kibble; cases of seltzer, soda, or wine; and devices you use often (blender, stand mixer). But infrequently used appliances do notget prime pantry real estate, including the ice cream maker, Thanksgiving roasting pan, pressure cooker, and waffle iron, says Gordon.